Somalia is synonymous with violent conflicts. 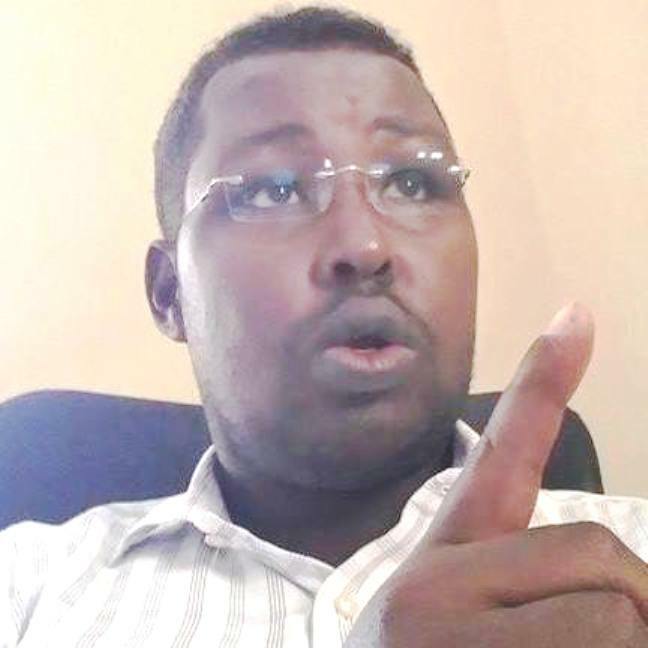 A country of about 15 million people located in the Horn of Africa, Somalia has been subjected to a long spell of civil unrest and unending warfare among leaders of various factions for about 20 years now. But this has not deterred Iftin Foundation, a hub in Mogadishu, the country’s capital, from building people and exciting a new tone for a generation of young Somali citizens in ICT. Founded in 2012, Iftin Foundation’s main objective is to provide and expand educational and career opportunities through innovative means to people in the country while contributing to a peaceful and developed Somalia. In this ‘e-Terview’ anchored by IT Edge News, Oluwatobi Opusunju and Chinedu James, the Project Coordinator for Iftin Foundation, Abdiwali Mohamed Ahmed talks about how Iftin Foundation, in spite of the unrests, has been able to meet its objectives. He also shares the challenges of being part of the African startup ecosystem. Tell us how Iftin Foundation is providing, expanding educational and career opportunities through innovative means? Iftin Foundation is a national development organization registered by the Ministry of Interior Affairs of the Federal Government of Somalia. Iftin Foundation is based in Mogadishu and operates in Puntland, South and Central Somalia. Iftin focuses on educational career development through training and mentorship activities in order to empower Somali youth with life skills that will enable them have effective skills that are required from their potential employers. We provide economic development through entrepreneurship and employment support in order to improve social livelihood. At Iftin, we do a yearly data collection of graduates’ results and numbers from the universities and higher institutions in Somalia in order for the international community and development stakeholders to have an idea of the number of graduates entering the labour market. We do this through the media by using our websites, Facebook and twitter pages, and radio Iftin which is owned by Iftin Foundation. Iftin Foundation owns Impact Solutions which is an ICT center under Iftin Foundation that publishes researches, events and development articles. Impact Solutions offers ICT solution services to private companies and education centres. Iftin Foundation strives to contribute to a peaceful and developed Somalia. How have you been able to achieve this since your launch in 2012? 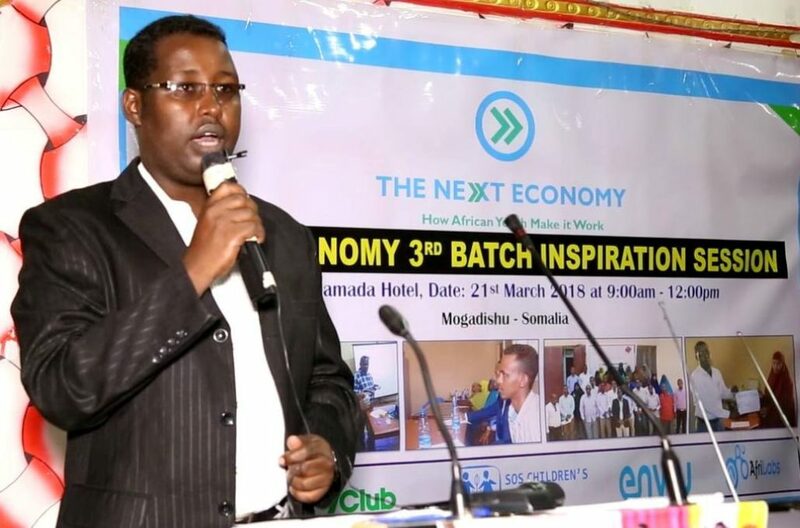 Iftin Foundation has succeeded in providing employment for about 584 youth graduates into several workplaces in Somalia through the application of different techniques and processes. This has helped to reduce the negative tensions among the youth and improve community livelihood, impacting positively on peaceful coexistence. About 1012 graduates have received training on core life skills in order to have effective skills to perform their duties and responsibilities wherever they are employed. Another 250 graduates have also received training on entrepreneurship skills which has helped to support and grow their own private businesses. All these have been beneficial to the stability and development of the economy. Iftin has succeeded to implement four huge job fair events conducted in Mogadishu, Bosaso, Puntland State and Kismayu Juba-land State. 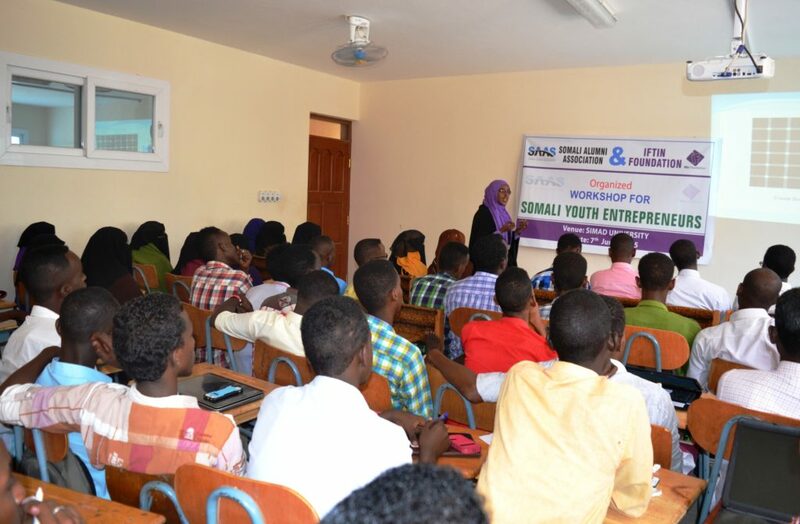 From 2015 to 2017, we have organized 20 community events and workshops in six cities in Somalia (Putland, South and Central Somalia) in order to persuade employers to establish opportunities for young people to reduce migrations, extremism and piracy. Since 2012, Iftin Foundation has published two yearly books: Somali Education Directory and Somali Business Directory. Iftin Foundation also makes publication services for education and private sector, preparing and printing their achievement record. Iftin Foundations owns Somalia E-check website which stores the certificates and information of Somali students in both universities and secondary schools. This website is certified by the Ministry of Higher Education of Somalia and created for employers and foreign universities to check the reliability and originality of certificates without suspecting or delaying candidates whenever they present their documents. A cross section of participants during one of Iftin Foundation’s training programmes. What would you say are the challenges you are facing as an innovation hub in Somalia and Africa as a whole? The challenges are enormous. But three stand out the most. The fact that Somali people are not partnership oriented is a big challenge and without it, the challenges cannot be solved. So there is need to engage set of activities to bring about awareness and orientation. The second is that when we mobilize, train people, it becomes hard for them to find opportunities to practice. For example, after training people in ICT and entrepreneurship and they want to establish their own private ICT solution centres/businesses, it becomes hard for us to find/help them with enough material resources they need to be actively resilient. The third is that due to lack of funding / sponsor partners, we sometimes don’t have the financial capacity to meet the needs of the target people. Also worthy of mention is the security challenge in Somalia. Considering the long spell of war in Somalia, is this not affecting your operations? As you may be aware, Somalia has experienced over 20 years of civil war and faction leaders’ fighting. These have affected almost three decades of effective public institution operations. The expected economic development and growth which should have existed as a result of public sector’s contributions have been eroded and that is why private sector contribution is demandable here at the moment. In general, Somalia is recovering from the previous illness. It is obvious that past history of civil war and unrest may have affected most levels of operations in Somalia, but it didn’t affect our operations because we are based in Mogadishu and able to operate in all of Somalia without any dependence except local authorities’ collaboration. How do you see the future of ICT innovation in Africa and how do you see the growth of innovation Hubs like yours in Africa? Iftin Foundation believes that innovation is what Africans need in order to be empowered and to develop their livelihood and capabilities. We believe that Africa, including Somalia needs to focus on two main options; the first is education, in order to equip people with excellent skills and expertise as this will foster innovative growth in the society and country. Secondly, we need to focus on the economy in order to improve lives through innovative skills by creating suitable opportunities for youths. These will reduce or eliminate poverty and any other social barrier factors currently affecting the country. As technology is increasingly advancing in this age and time, we believe it is more imperative to improve Africans’ ICT skills. What is the most challenge to startups in Africa and how can these challenges be solved? The challenges of startups in Africa are numerous. But for Somalia we think that the civil war played a major role in hampering the growth of startups. The core common challenges for startups in Africa include lack of encouragement and insights on how to grow. There is a mental production gap and the African people are yet to fully embrace the opportunities that can be borne out of innovation. This is a big challenge but can be solved by embarking on inspiring campaigns and events to create awareness on the importance of innovation and technology. African innovators are scared of venturing into the market because they feel they do not have the required skill set to excel. There is a great need to equip youths so that they do not lack confidence and they possess more than enough to grow their businesses. Another challenge is lack of financial empowerment or investment policy in Africa. The government needs to create an investment policy, strategy and support that will provide funding for startups at their teething stage. This will provide a level of sustainability for startups. What are the future projections of Iftin Foundation hub? How do you see Iftin Foundation in the next five years? Iftin Foundation is already doing some effective and commendable projects and would like to implement other new ones including ICT projects. We want to create a computer technology Lab which will accommodate IT/ICT students. After the training, they will be fully equipped to disseminate the skills to the benefit of the country. This however will target both genders. 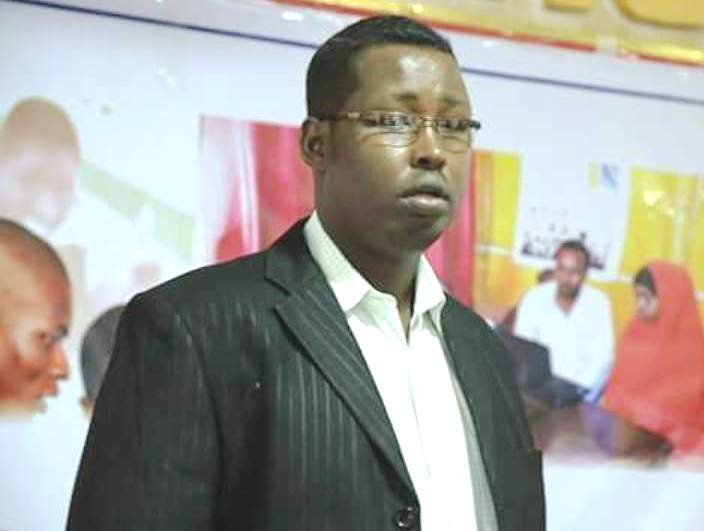 Iftin Foundation hopes to become the strongest innovation development hub in Somalia, producing elite tech experts and other development experts. Iftin Foundation future strategy is to be the center of innovation, research and change in Somalia and member of East Africa development hubs as well as the whole of Africa.